Corporate offices, apartment buildings, manufacturing facilities, lab facilities and schools are not exempt from the new emission regulations on their equipment. The case studies here examine customer applications and key challenges. Raising the bar in energy efficiency. 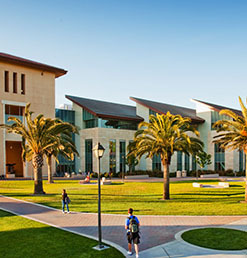 Stanford released an Energy and Climate Action plan aimed at raising the bar in energy efficiency and the use of innovative, clean, and renewable energy. Including high-efficiency standards for new buildings; continued efficiency improvements for existing buildings; and the cutting-edge energy supply system known as the Stanford Energy System Innovations (SESI) project. 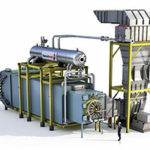 SESI required transforming a 100 percent fossil-fuel-based combined heat and power plant to grid-sourced electricity and a more efficient electric heat recovery system. 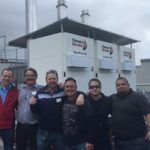 The heat recovery involved capturing waste heat from the district chilling system to produce hot water for the district heating system. This was done through the use of industrial heat recovery chillers and conversion of the campus heat distribution system from steam to hot water. One trial boiler results in nine boiler installations. The student body and university staff members are accustomed to a standard of comfort which was difficult to maintain even with the current system performing properly. 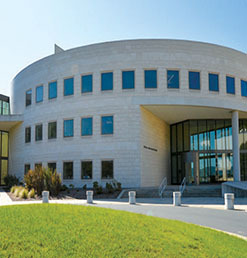 The university used a low-mass hydronic system to heat the campus buildings. A total of thirty boilers from several different manufacturers were in use, some of which were outdated. This made servicing complex and frustrating, including frequent temperature swings, false alarms and shut downs. Chris Watt Facility Director, a thirty year employee, identified RF MacDonald Co. via social media and requested a review of the systemic equipment problems affecting the entire campus. Eventually two boilers in the Leavey Activity Center were in such bad shape they needed immediate replacement. Savings obtained from hot water boiler conversion and low NOx upgrade. At the time of contacting R.F. MacDonald Co., Buck Institute was operating with an obsolete Cleaver-Brooks Steam Boiler system. The hot water boiler maintenance was high and only running at about 70-75% efficiency. Significant damage to one boiler coupled with the looming high cost of Low NOx retrofit left Buck Institute in need of a cost-effective solution. 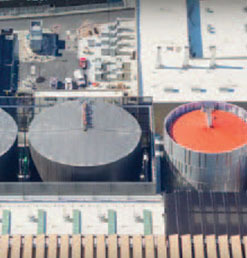 The existing closed-loop low pressure steam system was completely oversized for this facility. A custom master control panel operates equipment at multiple locations. 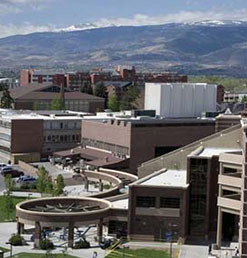 The University of Nevada, Reno (UNR) is a teaching and research university established in 1874. The campus is situated in the heart of Reno, Nevada on over 255 acres and enrolls over 14,000-17,000 students annually. The University operations support campus residence halls, education buildings, a number of theaters and auditoriums, a planetarium, a stadium and one of the largest earthquake simulation labs in the country.